In this picture I'm wearing Eyes of steel from Topshop. And ontop of it I'm wearing A cute above from Essie. 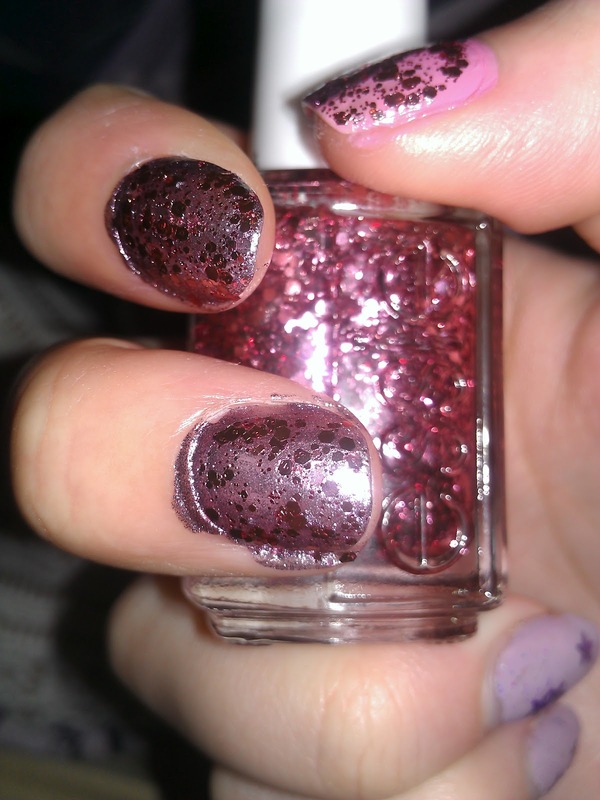 And on my thumb I'm wearing Sparrow me the drama from OPI with ontop of it, ofcourse, A cute above from Essie. This Essie glitter polish is so fine that it actually doesn't need a top coat. 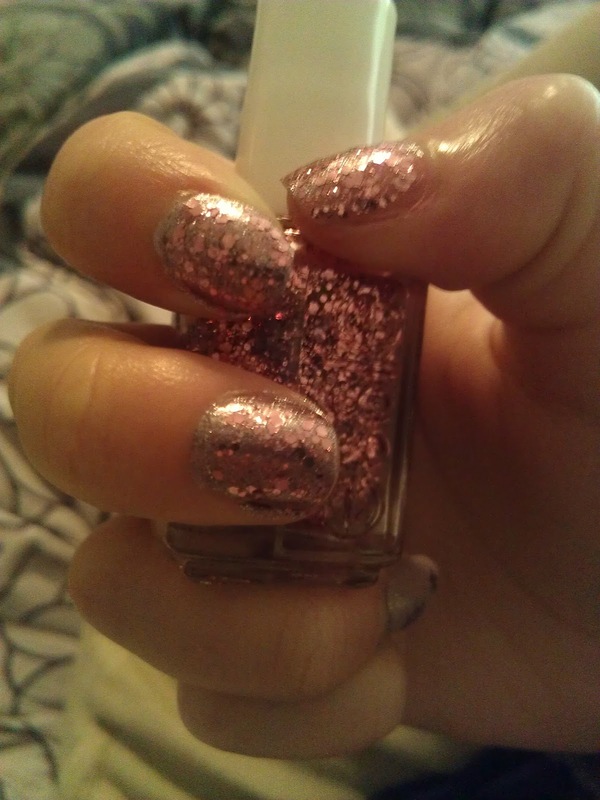 Most glitter nail polishes I have tried before have sharp glitters. Don't know how to explain it besides that when I wear those I need three layers of topcoat before it feels normal and even. I have been waiting for over a month before it arrived and I'm so glad I finally have it ! What is your favorite glitter nail polish?